This is my kind of wedding video! 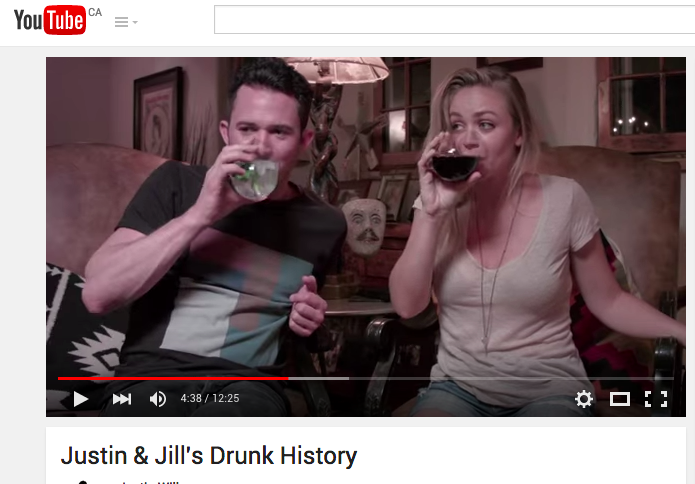 Watch this hilarious Drunk History wedding video that I just stumbled upon of Justin Willman and Jillian Sipkins telling the story of how they met and started dating. I thought I’d share it for those of you who haven’t seen it yet! They played the video at their wedding for their guests and what better way to tell a story like that than to tell it with a lot of booze. It’s hilarious, entertaining and really really well done. Watch the full video below! Happy New Year! Farewell 2012, Hello 2013! Leigh Ann + Kyle | Bohemain Wedding | Uxbridge, On.